Alex J. Cavanaugh: Big Thanks, Ninja News, Jewel of Shaylor Cover Reveal, and a Neumarian Uprising! Big Thanks, Ninja News, Jewel of Shaylor Cover Reveal, and a Neumarian Uprising! A huge thanks to everyone who helped with my cover reveal of CassaStorm last Friday – and those who are posting it this week! I was truly overwhelmed. I’d hoped that maybe twenty or thirty people might help, but over a hundred posted for me. Thank you! Yes, I am very excited about the cover – best one yet. Special thanks to Carrie Butler who made the awesome graphic of all three of my books! Misha Gericke announced the nominations for the Paying it Forward Awards – thanks to whoever nominated me for two categories! Voting is open until February 28. Good to luck to everyone. Livia gave me the Very Inspiring Blogger Award. Thank you Livia! I’m supposed to tell you seven things, but since that would be boring, I’ll just tell you one – I hate Brussels Sprouts. Laura Bambrey’s new book, Yes No Maybe, is available now! Congratulations, Laura. Hildie McQueen’s Street Team, McQueen’s Moonlighters, is up and running! What is a Street Team? “A street team are a group of people that enjoy a specific author’s books and assists in promoting the author by giving out book cover cards, pens, buttons and other promotional items for the author.” Check out her site for details. Nigel Mitchell just announced that TOONS is now live. He’s released Part 1 (Bad Toon Rising) and Part 2 (Get Lucky) of the series. Congratulations, Nigel! Roland Yeomans is the talented author behind almost two dozen books – and this month, the proceeds from sales of his books go to the Salvation Army. If you’ve never purchased one of Roland’s books and experienced his rich writing, February is the month to do so! Find Laura: Website, Blog, Facebook, Twitter, and Goodreads. Escapement, is told by Princess Semara. Don’t hold the fact Semara is a princess against her like I did, there is more to her than you can possibly imagine. “A riveting tale of justice, mercy, honor and love. Take a deep breath and hold on, because you'll be turning the pages of Escapement quickly. Three unlikely comrades, Princess Semara, Ryder, and his sister Raeth, embark on a journey that will alter their lives forever. The beautiful love story nestled into these action-packed scenes will make you sigh and remember why you love to love. After reading the prequel Weighted, I knew this story would be amazing, and it was. Ciara Knight truly has a gift for creating awesome worlds and characters you won't forget.” -Lindi Peterson--Award winning author of Summer's Song. 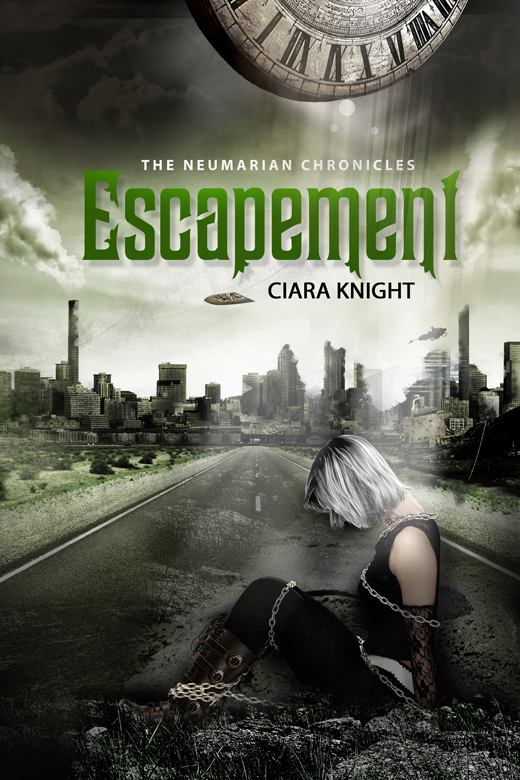 If you are now ready to join our fight, please add Escapement to your TBR shelf on Goodreads. Shout out on all your social media sites, and tell everyone you know to stand up and fight. Visit Ciara Knight to enter the giveaway. Thanks again and hope everyone liked the cover for CassaStorm. Picking up some new books? Voting for Paying it Forward or joining the Street Team? Ready for Laura Eno’s new book? And are you part of the Neumarian uprising? Your cover reveal was epic Alex. Looked good everywhere. That's only because you've never had -my- Brussels sprouts. When you said you hated brussel sprouts, I was at a loss...I was flabbergasted...you were dead to me....and then you mentioned me for the Very Inspiring Blogger Award and all was forgiven :D Thank you very much! Laura Eno's book sounds pretty awesome and I'm looking forward to getting it. Great cover, too! It was great to see CassaStorm popping up everywhere! Congrats to Laura and Ciara! Congrats on the cover reveal, by the way. Congrats to Ciara and Laura. Your cover reveal was epic, Alex. You don't like brussel srouts? They seem to be one of those things you either love or hate don't they?! I quite like them myself. I hate brussel sprouts too. And I love Laura's and Ciara's covers. Your cover reveal was amazing - you took over bloggyland!! I'm definitely in the pro sprout group - as a treat for Christmas hubby bought me some on the vine - they had a much more subtle flavour. 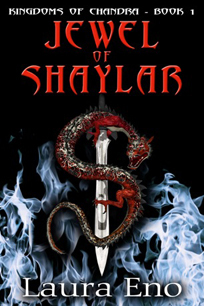 Love the Jewel of Shaylar cover. I have a master in archaeology and worked in the field for ten years, so the archaeology angle interests me. I finally signed up for the A to Z Challenge. Dang there are a lot of people on that list! Always willing to pick up a new book! Congratulations to Laura and Ciara! Princess Semara has a lot on her plate! Crikey! yay for the amazingly named Ciara!!! And all the rest here - Laura E, Laura B, Nigel, amazing Roland and Ciara - her name is so good I wrote it twice! What a unique way to blurb the story of Escapement. Love this idea & it sounds like a good read. Oh, and thank YOU for allowing us all to participate in your purdy reveal. Andrew, still wouldn't like them. Nothing trumps childhood trauma when it comes to food. Suzanne, you may have mine then. Terri, thank you for helping!! I also am not a fan of brussel sprouts! Congrats on the release for Ciara and your cover looks great Laura! I love brussel sprouts if they are covered with butter and bacon. The new books look awesome and congrats on Pay It Forward. I love Laura's new cover. Go McQueen Moonlighters! I've always been a fan of the Paying it Forward concept. Your cover reveal ruled the blosphere. :) Thanks for helping the uprising. The three-book graphic looks great! Carrie is talented that way--she amazes me. Happy to help with the cover reveal. My mother doesn't do sci-fi and now needs to borrow my Kindle to read your books! How about THAT for a conversion. Bought Weighted and Escapement - can't wait to read them. Have a feeling it will be on the plane to my sister-in-law's brothers wedding at the end of April. I don't know about you, list man, but wow, I'm cranking along co-hosting stuff at an breakneck speed and I wouldn't have it any other way. Wow that's a lot of information for a Monday morning. Some great looking book covers and interesting sounding books. Glad I was a part of the cover reveal. And I liked weighted so I'll give escapement a go. But there is a ton of stuff going on. Wow. Brussel sprouts? :P Although, I like the zombie angle and bacon sounds good on them. Thanks so much for revealing my cover! Lots of new books. Can't remember if I've voted for Misha's awards yet or not. Awesome your cover was everywhere. Ciara's book sounds good. Thanks for sharing about it. Congrats on the award, recognition, and the cool cover! Big congrats to Ciara and Laura! Brinda, I'm sure the butter and bacon help. Tina, that is awesome!!! And yes, very busy preparing for the Challenge. LG, everyone is writing faster than I can read! Jaybird, I try to keep everyone informed. Eewww...I hate Brussels Sprouts too. I don't know how people eat them. I got both books and will gladly do a review on them. Now let me use this to lead into another point. 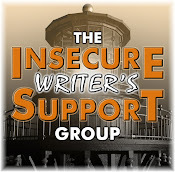 Aside from you and a few other people, most writers stay within the writers circle on blogger. What they fail to understand is that non-writer bloggers are buyers of books. Now, I'm not saying this because I need followers or comments, I have those a plenty. Just bringing up something that other writers should be aware of. An awesome list of successes. I need to get back to the book store or Amazon. I'm getting behind. Brussel sprouts are great when you smother them in bacon and butter and cheese and essentially eliminate anything about them that ever once resembled a vegetable. Otherwise... pass. Also, I snagged Weighted, and am looking forward to reading it. Whoa! Ciara's book sucked me in big time. Congrats on your book reveal. Yay! LOL I also hate brussel sprouts. Just reading the words makes me gag a little. Excited to be part of the Uprising and also happy for Laura. Both books look awesome! Congrats! to Laura and Ciara! Lots of big news for these awesome ladies. Your trilogy is almost complete. 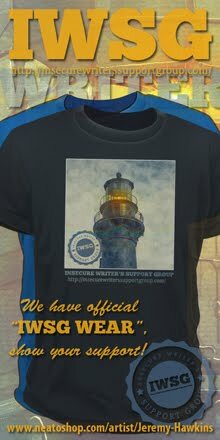 And yes, ISWG certainly does count for a supportive writers organization. Ir says so in the title! Fabulous covers. Congrats to all the authors. You hate Brussel sprouts? I love boiled in beer. Anne, excellent point! That's something my publisher told me when I first began blogging - don't just follow other writers and authors. Brandon and Bryan, kind of like tofu. Congrats to Laura and Ciara! Yay for donations to the Salvation army! And yes, I liked the new cover for CassaStorm -it's awesome! So many exciting things going on in bloggydom it's a bit overwhelming. Your cover reveal was truly epic, Alex, and so deserving. I'm glad you got so much participation for your cover reveal! Ciara's book looks fantastic! I'm putting it on my TBR list now. You're welcome! It was a fun cover. You really are an inspiring blogger, Alex. And yes, I think the cover art for all three of your books is amazing. ESCAPEMENT looks terrific ... as does CASSASTORM. Brussel Sprouts not so much! Thanks for the mention of my Valentine's to the Salvation Army. I hadn't mentioned it earlier lest people would think I was crass enough to get sales by the donation. Congratulations to all. CassaStorm created a storm in the blogshpere. I saw it everywhere! A thousand pardons, Alex. Please see my email on making it up to you :). Escapement is a cool title. And I like your blurb, Alex. Awesome image from Carrie. Congrats to Laura & Ciara. Lots of action going on. Congratulations to Laura and Ciara! And of course to our awesome Ninja Captain on his nominations. Very deserved. Actually, I see a lot of familiar names nominated for all the categories :-) All of you have my vote for sure, although I will need to choose only one overdone per category. I already have Ciara's novella on my Kindle, but I'm looking forward to the new release in March. Here's to Ciara and Laura. I voted in the Paying it Forward and I'm definitely part of the Neumarian uprising. The Jewel of Shaylor cover looks great! I love looking at cover art on people's books. I also love the names that Ciara comes up with. I think "Neumarian" sounds very magical. 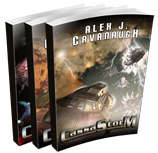 Congratulations Alex for the great success of collaboration with the cover of CassaStorm. So much good stuff going on! I used to hate broccoli, but now I love it. I also hated brussel sprouts, so last summer I figured I'd give them another try. Popped one in my mouth whole and what do you know...they still stink...almost gagged. You are well-loved, Alex. Congrats to Laura, Ciara & everyone else. I grabbed my copy of Weighted. And, um...what's a Brussel sprout?!! I hate brussel sprouts too, Alex. It baffles me that some people love them. Been following a couple of the hops today. So much is happening! I love your new cover. I just loved the cover of Escapement. It's almost as good as your awesome cover. I've been involved with several street teams for some great coloring books. It was a pleasure to help with the shoutout, Alex. It doesn't surprise me how many others feel the same way. When you're on Oprah, can you wave to all your fans in Canada, please! Today's covers are all so intriguing. It's inspiring to see talent abound. Angela, I know - voting will be difficult. Elizabeth, you won't try that again. Nancy, it's a really nasty vegetable. Just say no. Love the cover! :) Congrats- it was great to see it on everyone's blog. What a great uprising tour- congrats to Ciara, and congrats to Laura also. I'm late to the comments, but my sentiments are still fresh. LOve the cover art for CassaStorm. February has been THE month for new books and cover reveals. Congrats to all! Great cover. Well done on the nominations too. Opened up "Your Daily Dose" and burst out laughing :) Big Congratulations to all the bloggers who inspire you! Yes, the award is very well deserved! Must agree on brussel sprouts... man those things are so stinky too! Best of the day to you, Alex:) Once again, it was fun reading your post! So little space and so much info! Congratz on the VIB Award. If you're ever in Atlanta, stop by for dinner. You'll find no brussels sprouts in this house. Laura's and Ciara's covers rock (as does yours)! Seems like there is always LOTS going on. Love to come over and play catch-up. You're like a week-in-review show. Thanks for the award, Alex, and I'm quite honored. You know so many people/sites, it's flattering that you find mine inspiring. I just try to talk about a writer's life and overcoming life's crap in the process of making a career. I definitely appreesh. And...I hated Brussels Spouts for a long time...saw them cooked on a show, roasted with pancetta and thought they looked good. Made them and yes, delish. I think the recipe can be found on CBS Morning Show website. It will certainly change your tune. P.S. I hate Brussels sprouts, too. Lots of books out and about! Love all the support here in the blogosphere. Now that i caught up on the Oscars, I can get back to blogging!I really want to see Django now. Congrats to Laura and Ciara. So many awesome books. Congrats to all the writers! It's a busy Monday. Hope you're having a good one. I've been gone for a week so I missed the cover reveal for Cassa Storm. It's beautiful. And I hopped over to Misha's blog and voted. Rebecca, it was wild to see it on so many blogs! Robin, you're welcome. And just say no. ML, you're welcome, and I doubt anything will change my mind. Carrie, that graphic just rocks. Pk, it's a great movie. I didn't know Carrie Butler designed these - very cool! Congrats to Nigel, Ciara, and Laura! Glad your reveal was such a success, Alex. Love all the wonderful books coming out... so many good things to read. I put the Neumarian Chronicles on my "want to read list." Purchased CassaStar and it's up next on my reading list after I'm done with Savage Angel. Congratulations on your epic Cassastorm cover and VIBA. Neumariam looks interesting, maybe my geek will have a peek. Your cover artist is very talented. Lots of book news today. I just wanted to repeat that I like how you revealed yourself, sorry, I'm most impressed with your cover reveal and the awesome help of Carrie. Well done on the award. Hello to Misha. I'm a part of the uprising and the Nuemarian one also. Lots of great new reads! Kimberly, she sent it to me last week - just awesome! David, thanks!! No worries about the timing. Gary, I knew you had good taste. I'm part of the uprising too!! Yay--rebels unite:-) I didn't know Carrie did your covers . . . way cool!! And I've only heard of street teams in the past week, and now it's all anyone is talking about! i'm usually late and i dont like going along with the crowd... must add something special! Just saw your other post on Michael's blog. You guys are making the rounds in the blogosphere. Nice! Loved your cover reveal Alex. You always have loads of writing news to share. I can not keep UP WITH all the new cover reveals this month.... I still have three more to promote. LOVE IT.... gives me hope. It's so great to be a part of such talent. I didn't know Carried did your graphics.... SHE IS AMAZING. So excited for her book tour in a few weeks. I'm way behind on my reading, so I don't think I'll be buying any new books for the next few weeks. Any person would be put off bland brussels sprout. It needs to be seasoned properly... problem solved! The Neumarian Chronicles sound very interesting for me. On Sunday evening I downloaded the free copy of Weighted and bought a copy of Escapement. I wanted to post about CassaStorM on Sunday but to whatever reason my post stucked in status draft until today! Alex, your new cover is awesome! Really captures the essence of the story so well. I'm sorry I missed the reveal. I've been so out of it this month! I'm in for the uprising! Viva la Revolution! I think CassaStorm might be my favorite cover of yours. Jamie, Carrie just did the little graphic. Tara, thank you! Not late at all. Lydia, he did a great job. Michael, she didn't. Thanks again. Elsie, you can have mine. Edi, I briefly saw your post and then it vanished. DL and Jay, I think it's the best as well. I love the cover! Very modern and looks like a scene from a movie. Congrats on the new cover reveal AND to everyone with new books coming out and already out! Whew, I say, if I miss one of your posts, I miss EVERYTHING! Thanks for keeping us up to date on what's going on in the blog-sphere. I seriously do not know how you do it. The Yes, No, Maybe book looks really good! Hubby was off yesterday, so I missed all the hoopla~ Wow, so much good news! I have to go play catch up! I didn't realise Carrie did the graphics for your books. Nice one! Such fantastic book news all around. What a cool pic of all three of your books together. Love Laura and Ciara's covers! People inpsire you? That's high praise considering you inspire so many others. Love the new cover and Alex you deserve every single award you are given! Thanks for the mention Alex and woot! woot! on your book cover reveal! Alex: Just a comment on your cover - WOW! What a great rundown, Alex. I love seeing all the new books people are putting out and Ciara's looks amazing. I loved your cover and I agree, they just keep getting better with each book. Great stuff going on, I see. Love the intro to Ciara's story, it really sounds different and cool. Oh my gosh... I just came from Michael's blog and I'm DYING... did you ever think you'd have fan fic, Alex??? Hahaha... Seriously loving it. I've always disliked Brussels sprouts! Congrats all around, and really great covers you've got there, Alex. Looking forward to seeing what else you have in the pipe.